Camellia growers seldom get into trouble from using organic soil amendments such as peat, well rotted sawdust or bagasse. Frequently it is desirable to supplement these organics with mineral fertilizer or to add other organics such as cottonseed meal. A mixture that has worked well on neutral to slightly alkaline soils is made up of 5 parts (by weight) of cottonseed meal, 3 parts of superphosphate, and 2 parts of sulphate of potash. This mixture became quite popular and was commonly but erroneously been called a 5-3-2 mixture; actually it is more nearly a 3-6-12 mixture – that is, contains about 3 per cent nitrogen, 6 per cent phosphoric acid and 12 per cent potash. Even this formula should be used in small quantities – not over 2 pounds to each 100 square feet once each year, usually about six weeks before the approximate date when growth starts. In the South Atlantic and Gulf Coast sections new growth begins, in normal seasons, about March 15, so that the fertilizer should he applied about February 1 to 15. No hard and fast rule can be laid down, however, and it may be necessary to increase or decrease the dosage of either fertilizer to meet individual soil requirements. The manner in which camellias are planted is of great importance. They do not like to be planted too deeply, and where drainage is poor it is necessary that the beds be raised about a foot above the surrounding ground. This type of planting is not advisable, however, in places where the soil is of a sea sand nature or where the plants are growing on top of a hill or on sloping land. In such locations the ball of a new plant is best set at ground level or slightly below. Mulching is better than cultivating for camellias, because many of the feeding roots are near the surface. Various materials may be used for mulching. Pine needles and oak leaves are both good, also bagasse or grain straw. Peat-moss is the neatest material, but it is difficult to wet and probably is not as good a mulch as the other materials mentioned, all of which permit easier penetration of moisture and air. If peat is used, it should be thoroughly saturated before placing around the plants. Living mulches are also an option. Vinca major, maidenhair fern, violets and even certain grasses make good living mulches. Wandering Jew is often used and is satisfactory, but because of its vigor it is necessary to cut it back a few times each year. While camellias demand good drainage, it is also true that they require abundant moisture for best growth and flower production. If the soil is at all dry at the time new growth is about to start, it should be watered heavily about twice a week. Where drainage is not too good, however, it is a mistake to permit the hose to run near the roots for long periods, and in some cases this mistake has caused the loss of plants. The practice would be permissible, though, on sea sand types of soil or on other well drained locations such as hilltops or slopes. The question is often asked, “Just how can I tell when the soil is wet enough?” A good practical test is to take a handful of soil and press it tightly; if the soil holds together it is wet enough, but if it fails apart it is time to supply more water. 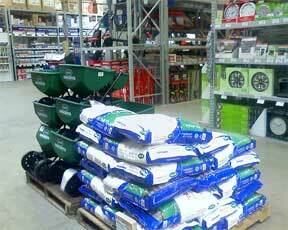 It is especially important to water heavily after chemicals or fertilizers have been applied.